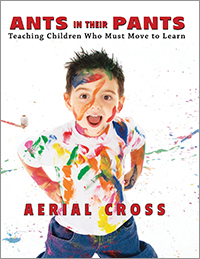 Aerial Cross, MA, has over a decade of experience as an educator in both general and special education classrooms. 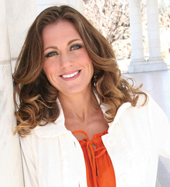 She presents seminars and workshops for educators throughout New Mexico. 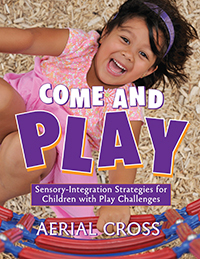 Aerial is also the author of Ants in Their Pants: Teaching Children Who Must Move to Learn and Come and Play: Sensory-Integration Strategies for Children with Play Challenges. Nature has monumental power on children's growth and development. When children spend time in nature, they experience profound benefits that outdoor play provides. 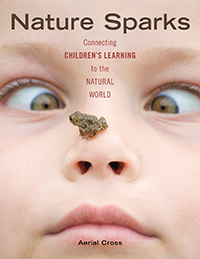 Nature Sparks is filled with inspiration and instruction to help you reclaim and strengthen children's connections to the outdoors. This resource supplies ideas to create a nature-oriented classroom and curriculum, incorporates Howard Gardner's Theory of Multiple Intelligences to encourage children's individual talents as they experience the natural world, and includes more than fifty sensory-integrated activities, crafts, and instructional strategies. Play is necessary for children to learn and developmentally thrive. For this reason, early intervention is vital in addressing and redirecting play challenges that may appear in young children. Come and Play addresses five common play challenges and provides key intervention guidelines and sample play plans for each challenge. Age Focus: 1-8. Softbound, 224 pgs. Read a sample chapter and the table of contents from this book! Extra busy children require extra guidance as they remain on the move throughout the day. Filled with successful techniques the authora teacher of both special and general education and parent to an extra busy childhas used, Ants in Their Pants will help you support the extra busy children in your classroom.